We are pleased to announce the addition of Gareth Smit to the CAW sales team. 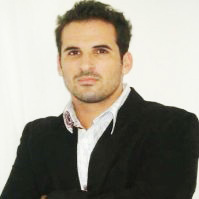 Gareth joins as sales executive and will oversee all aspects of customer business in the Western Cape and surrounds. Gareth has a proven track record in the engineering service industry, beginning his career in Fitting & Turning and then Electrical, gaining more than ten years of experience with major companies. For the past year, Gareth has also served as Affiliate Chairman of SARPA & AMEU meetings. When not on his customer’s sites, Gareth enjoys a game of golf and keeping fit. We welcome Gareth to our growing CAW team of electric motor professionals.